People use salt to enhance the flavor of their food but a Singapore scientist has discovered that it's also extremely good for improving the memory capacity of computer hard disks. 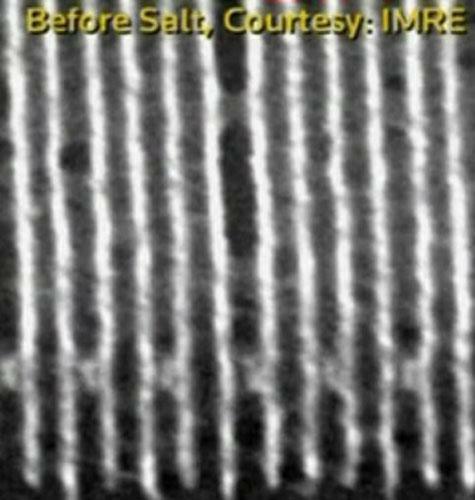 Joel Yang from the Institute of Material Research and Engineering says that salt can radically improve the way memory is stored on computer hard disks. Along with scientists from other institutions, Yang says he found that dipping a hard disk wafer into a sodium chloride solution reorganizes the nanostructures inside the disk thereby increasing its storage capacity. According to him, if you want to pack 1000 ping pong balls in a container, you've got to position them at exactly the right positions. By doing that, you can pack more of them in a given space. In magnified photographs taken using an electron beam lithography machine, Yang found that the sodium chloride-soaked wafers had a neater, more defined structure, allowing for a potential six-fold increase of data storage. Though why salt causes this reaction is still a mystery to Yang. “We don't really know. We've tried a bunch of different salts as well, sodium bromide, iodide, fluoride, and we saw that sodium chloride gave the best performance. There are still a number of hurdles to overcome before his laboratory findings can be implemented on entire hard drive disks”, Yang said. To scale up what we have demonstrated in the lab onto an entire disk requires reliable and cheap processing methods. 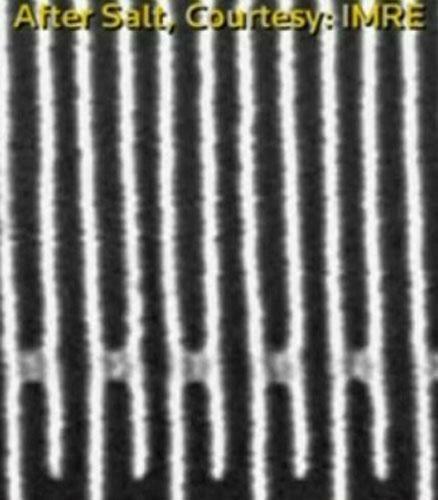 Electron beam lithography is very useful for device prototyping and for doing demonstrations. But in order for this industry to adopt this technology, new processes need to be developed. Yang predicts that the addition of sodium chloride may double or triple memory space for commercial hard disks over the next several years. Getting a six-fold increase he says, may take a few years longer.